When it comes to competency-based learning (CBL), we must tend to our school cultures as deeply and thoughtfully as we tend to our classrooms. Let’s define culture as Chris Sturgis and Katherine Casey do in Quality Principles for Competency-Based Education: “A school’s culture is the daily manifestation of its purpose and core beliefs.” Adopting CBL means more than a shift in pedagogy; it means committing to a mindset and system that prioritize learning over time, skills over content, and relevant, holistic assessment over high-stakes testing. To succeed, CBL must infuse the relationships, structures, and rituals that define our communities. Over the past few months, I’ve been fortunate to meet and learn from students, teachers, and leaders from a variety of schools immersed in CBL. 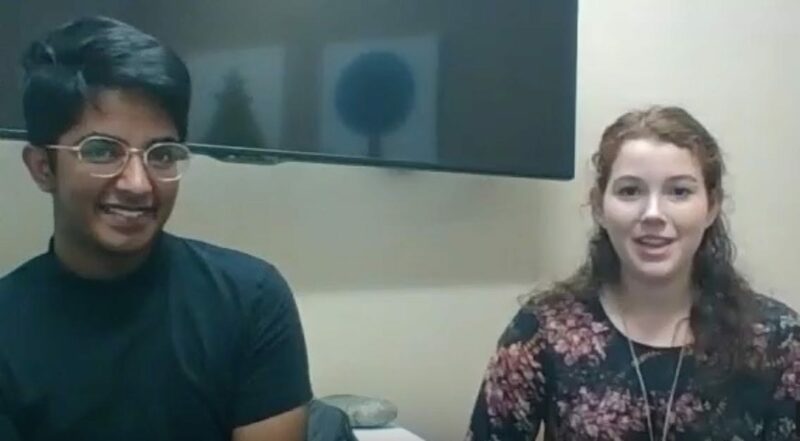 They share a belief that getting culture right ensures the success of the structural and pedagogical changes needed to make their schools competency-based. To build this culture, they focus on three essential elements. A couple of months ago, I visited Boston Day and Evening Academy (BDEA), a public high school in Boston, MA, whose mission is to reengage students who have been out of the system and to support those students in graduating from high school and planning for their futures. Their school culture is built on three pillars: competency-based learning, empowering students to discover their authentic selves, and elevating student voice. BDEA’s culture is steeped in the belief in a positive learning environment for all students. The school meets students where they are. There are no grade levels: Students select courses — in consultation with an advisor — based on previous experience and diagnostic exams. Students set and pursue individualized learning goals and have in-person and online academic support options. Reassessment is an academic norm. Students have multiple opportunities to demonstrate learning and can retake courses until they demonstrate competency. Students pursue their passions. Nestled among BDEA’s trimesters is Project Month, a time for students to design, pursue, and exhibit projects of their choice. Prior to graduation, all students complete a capstone project they design that involves extended experiential work in the community. Student support is focused on helping students fulfill the visions they have for their futures, including post-graduation planning and robust academic advising. Conflict resolution is built on restorative justice, not traditional disciplinary techniques. The school sees itself as one element of a larger learning network: They partner with local organizations for capstone work and exhibitions of learning. Graduates are often invited to return as teaching assistants. If students are making important decisions and doing complex thinking, they are more likely to be learning deeply. 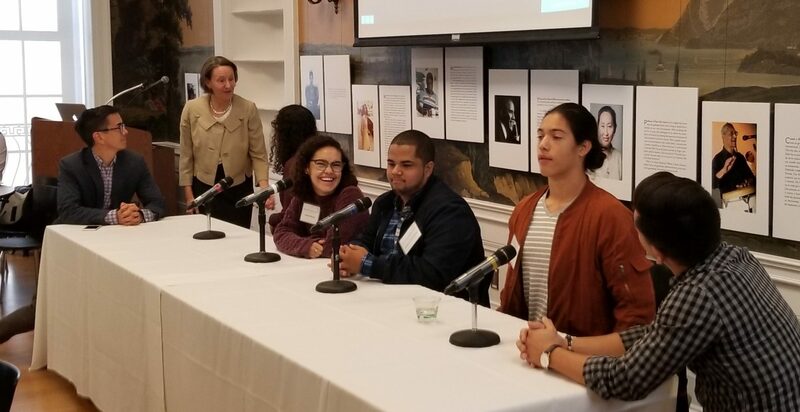 At recent events GOA designed and facilitated in partnership with the Mastery Transcript Consortium (MTC), panels of students, educators, and leaders from Urban Assembly Maker Academy (UAMA) and Gibson Ek High School offered their perspectives on how competency-based learning works at their schools. A common thread: Culture and program should be deeply connected, specifically in how communities support student agency. Urban Assembly Maker Academy panel at Mastery Transcript Consortium event in New York City (photo courtesy of MTC). Gibson Ek students speak to MTC members. UAMA uses design thinking to empower students. The school’s project-based curriculum introduces students to a complex problem to solve, then the students collaborate with teachers using the discovery process of design thinking to develop an action plan and set benchmarks. Embedded in this process are systems that help students see themselves as leaders of their own learning and support the development of the skills they need to succeed: a robust advisory program, coursework on mindfulness, and frequent reflective protocols (“I know…, I need to know…, My next steps are…”). Click here to see UAMA’s rubric for design thinking. Gibson Ek is both a member of the MTC, which is focused on designing a digital transcript that will support a mastery/competency-based instruction model, and a member of the Big Picture Learning network, which prioritizes real-world learning experiences. Students spend several days each week pursuing internships and independent projects they have designed themselves. The cultural norms at Gibson Ek work in support of this purpose of student-centered learning: Every student and adult in the community creates, pursues, and updates a Learning Plan; every student has an advisor; and public exhibitions of learning that involve school and community members are the standard summative assessments. Members of the community are asked to view themselves as learners first and act accordingly. It should not come as a surprise that the student skills and mindsets supported by CBL are very similar to what research has shown are the skills and mindsets of successful, effective teachers. In pursuit of CBL and adoption of the Mastery Transcript, GOA member The American School of Bombay (ASB) has empowered its physical education department teachers to transform their courses into gradeless, performance-based experiences where students curate and defend work that best represents their skill development. This pilot program, which has been in progress for a year, has challenged the teachers to work in new ways. In their effort to bring competency-based learning to their students, the ASB teachers have built a professional culture that reflects a CBL approach: tackling complex problems without clear solutions, articulating learning targets and agreeing to pursue them together, communicating frequently and openly, and collaborating deeply with shared purpose. As Mike Crowley of the International School of Brussels argues in this excellent post on school culture, “We are responsible for the cultures that we create.” At the center of competency-based learning is the belief that learning should be a meaningful, joyful experience for all students. How might our school cultures instill and nurture that belief in our communities? What do you believe are the essential elements of a competency-based school culture? Tell us on Twitter or contact us.